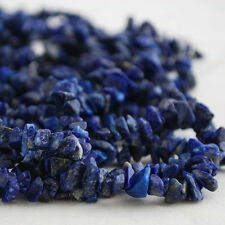 Grade a Semi - Precious GEMSTONE Lapis Lazuli Beads Chips 36"
PREMIUM QUALITY NATURAL GEMSTONE LAPIS LAZULI BEADS 6mm... ENJOY THE NATURAL GEMSTONE BEAUTY OF THESE VERY EYE CATCHING AND UNUSUAL BEADS ... 6mm 30 Per Bag.. HOLE 1mm... PLEASE SELECT FROM A HUGE RANGE OF FINDINGS AND BEADS TO COMPLIMENT THESE BEADS... CLICK HERE FOR MORE ITEM INFO AND A LINK TO OUR EBAY SHOP FOR THOUSANDS OF GREAT CRAFT ITEMS ...PLUS BUY ANY 6 ITEMS PAY FOR 5. PREMIUM QUALITY NATURAL GEMSTONE LAPIS LAZULI BEADS 8mm... ENJOY THE NATURAL GEMSTONE BEAUTY OF THESE VERY EYE CATCHING AND UNUSUAL BEADS .... 8mm 25 Per Bag... HOLE 1mm... PLEASE SELECT FROM A HUGE RANGE OF FINDINGS AND BEADS TO COMPLIMENT THESE BEADS...CLICK HERE FOR MORE ITEM INFO AND A LINK TO OUR EBAY SHOP FOR THOUSANDS OF GREAT CRAFT ITEMS...PLUS BUY ANY 6 ITEMS PAY FOR 5. However due to the nature of the beads and the computer these photos are slightly different from the actual products. We will be more than happy to give any information. However the evidence must be proved. However due to the nature of the beads and the computer these photos are slightly different from the actual products. We will be more than happy to give any information. The photos of our beads. 24 8mm with 1mm hole drilled, ready for jewellery making. Top Quality Natural Semi-precious Lapis Lazuli Gemstone beads. View oursemi precious gemstone beads collection. However due to the nature of the beads and the computer these photos are slightly different from the actual products. We will be more than happy to give any information. Natural Blue Lapis Lazuli Tube Beads 9x6mm Approx. 43 beads (15" Strand) (G59/1). Bead size 9x6mm. Pair these wonderful Natural Blue Lapis Lazuli tube beads with our collection of 9 Carat Gold beads and findings to create stunning professional quality off loom jewellery and accessories. PREMIUM QUALITY NATURAL GEMSTONE LAPIS LAZULI BEADS 10mm... ENJOY THE NATURAL GEMSTONE BEAUTY OF THESE VERY EYE CATCHING AND UNUSUAL BEADS ... 10mm 20 Per Bag... HOLE 1mm... PLEASE SELECT FROM A HUGE RANGE OF FINDINGS AND BEADS TO COMPLIMENT THESE BEADS...CLICK HERE FOR MORE ITEM INFO AND A LINK TO OUR EBAY SHOP FOR THOUSANDS OF GREAT CRAFT ITEMS ...PLUS BUY ANY 6 ITEMS PAY FOR 5. Material - Lapis Lazuli. Shape – Chip. We are human we do make mistakes and on these rare occasions we will do our best to put things right. Lapis Lazuli Round Gemstone Beads. 4, 6 & 8mm. Choose your size of bead. These gorgeous Lapis Lazuli semi-precious gemstone beads feature a smooth round surface, 12mm size and glittering natural, golden iron pyrite inclusions. Use them on their own or pair with our range of gold beads and findings. 32 6mm with 1mm hole drilled, ready for jewellery making. Grade A Natural Lapis Lazuli Semi-Precious Gemstone Round Beads - 2mm - 15.5"
High quality natural lapis semi-precious gemstone round beads. Size: approx2mm. Small oval shaped Lapis Lazuli with flat back. Also Geat for jewellery making. The colour vary. The price is for one stone only. Lapis Lazuli Gemstone. Lapis Lazuli is a deep blue often with a touch of purple and flecks of iron pyrite. Lapis Lazuli beads are great for long-wearing designs. Round Beads 10 mm with 1mm hole. this is for 16 beads. For sale - 1 strand of Lapis Lazuli nugget beads. Sizes range from 4/5mm - 7-9mm x 4/5mm -10mm. Hole is 1mm. It is the very foundation of what I am attempting to achieve. Anything can be resolved. Natural Lapis Lazuli Beads Faceted 4mm Blue 15" Strand Approx. 96 beads (J21/1). Natural Lapis Lazuli. 96 beads per strand. Sold as a 15" strand. Bead size 4mm. We have a huge collection of glass beads, semi-precious gemstones, silver and gold beads, pendants and charms, alphabet letter beads, Swarovski beads, horn and bone beads, pearl beads, a variety of stringing materials, quality findings and much more. 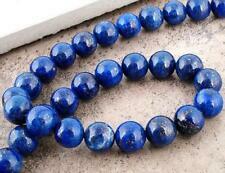 Premium Quality Grade A Natural Semi-precious Lapis Lazuli Gemstone beads. View oursemi precious gemstone beads collection. 93-96 4mm with 1mm hole drilled, ready for jewellery making.